You are here: Home / Articles / If It’s Unsuitable For Mining, Is Drilling Advisable? If It’s Unsuitable For Mining, Is Drilling Advisable? There are a handful of watersheds, predominantly in central Pennsylvania, that the Department of Environmental Protection has deemed to be unsuitable for mining activities. flooding and areas of unstable geology. Marcellus Shale permits that were issued in areas which were deemed to be “unsuitable for mining” according to the PA DEP in 2002. These seem like worthy goals. So if these areas are unsuitable for coal mining, why is it OK to put gas wells there? Granted, drilling a well is not quite the same impact as a surface mining operation, but to protect an area from one mode of mineral extraction and not the other seems inconsistent. 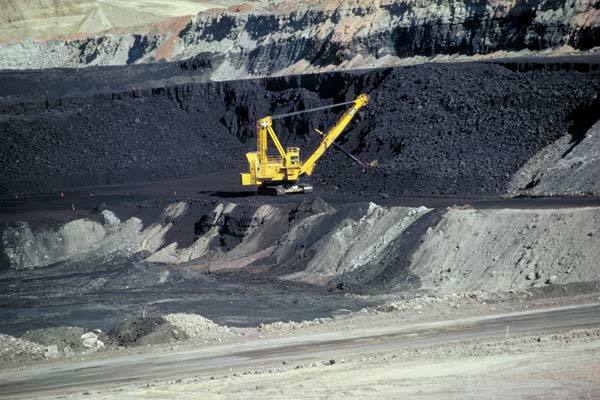 After all, many of the problems with coal are still relevant for gas drilling, since the drilling operator must go through the coal seam to get to the gas. The pyrite associated with the coal is still exposed to air, meaning that the drilling mud and drill cuttings probably contain sulfuric acid, the key component of acid mine drainage (AMD). And it’s not just the drill cuttings that could be a source of problems…it could be the well bore itself. Consider the Hughes Bore Hole, which, according to Wikipedia was drilled in the 1920’s to drain underground mines in the area, then capped in the 1950’s. So what’s the big deal? In the 1970’s, pressure built up and the hole burst open, and has been spewing about 800 gallons per minute of acid mine drainage ever since. Could drilling a gas well in the wrong place have the same effect? Maybe to be safe we ought not drill in areas where geologists have determined that AMD could exist. That wouldn’t affect that many wells, would it? Marcellus Shale permits in areas with acid mine drainage potential. Please click the map for a dynamic view and more information. Oh. Well then let’s hope the well casing experts don’t have any bad days. West Virginia Marcellus Shale Data Updated Op Ed – So what’s the rush to drill for gas?